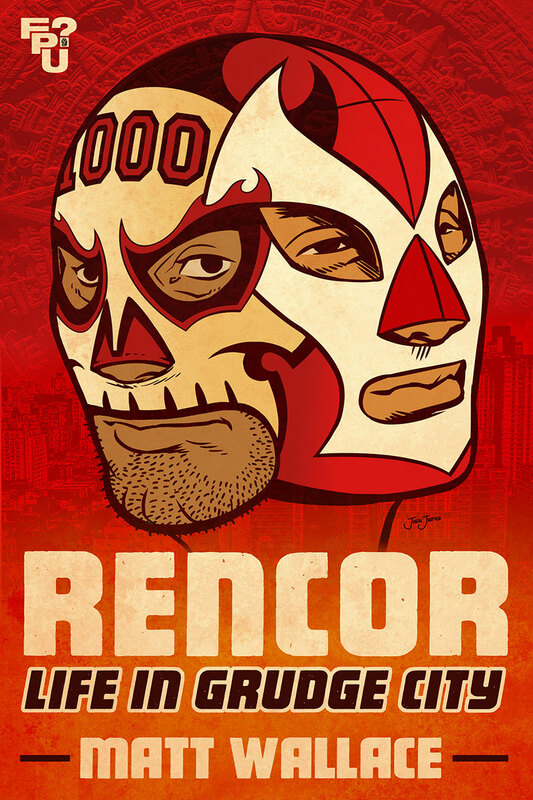 Ciudad Rencor (aka ‘Grudge City’)—the cross-cultural border mecca of wrestling and lucha libre — sees its streets bathed in blood after a bizarre museum robbery and hysterical reports of living mummies on the loose. It’s now up to the unlikely team of the city’s most noble técnico El Victor and its most notorious rudo El Mil Calaveras to stop pounding on each other, put aside their families’ three-generation-old rivalry, and bring back the glory days of masked ‘lucha-heroes’ battling Mexican monsters on the march. Written by Matt Wallace (Envy of Angels, The Failed Cities, Slingers), the former pro-wrestler-turned-scribe of the hit supernatural comedy series Sin du Jour, from a story by From Parts Unknown ‘zine-maestro Keith J. Rainville, Rencor: Life in Grudge City is like 48 Hours or Starsky and Hutch fused with El Santo and the Aztec Mummy. No mere ring or steel cage can contain the blood-feuds, body slams, brass knuckles and bandages that spill onto the streets, turning Rencor City itself into one giant arena. So if your library is short on books featuring rival luchadores arguing about capes and convertibles, a probably fake mummy, a possibly real mummy, a Latina kick boxer in a lab coat, a crooked promoter, a crooked museum, bacon-wrapped hot dogs, over-aggressive wiener dogs, a werewolf, a video pirate, a drunken goblin and the requisite overweight-as-he-is-over-stressed police captain trying to keep all of it in line, then this book is for you! Weighing in at 188-pages of masks, mummies and mayhem, the 6×9″ trade paperback has a lush matte-finish cover, and the usual FPU imprint touches — illustrated wrestler chapter icons, the signature end-paper images, etc. Rencor is also available in ebook format for under $4!